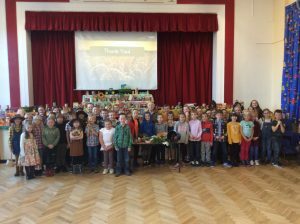 Thank you to our wonderful Year 4 children and Mrs Sheldon for a fantastic Harvest Festival Assembly today. All your donations were greatly received by the food bank. Thank you.